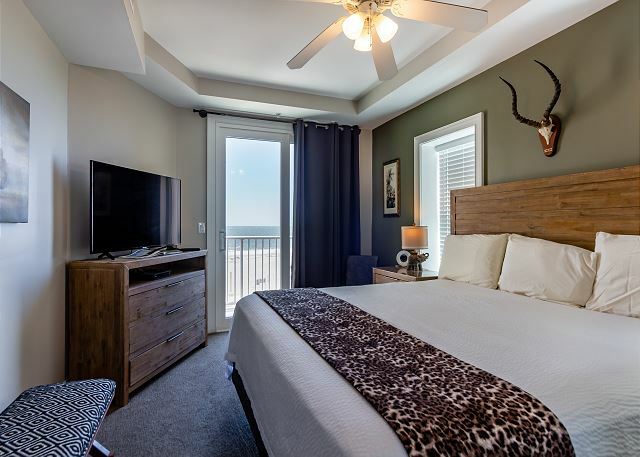 "In the jungle, the mighty jungle, the lion sleeps you will sleep just as peacefully as the lion in this adorable three-bedroom, two bath oceanfront condo with hints of the tropical rainforest! From tasteful animal prints to sumptuous leather, to dark wood furnishings, you'll feel as though Kipling must have visited just before you did. 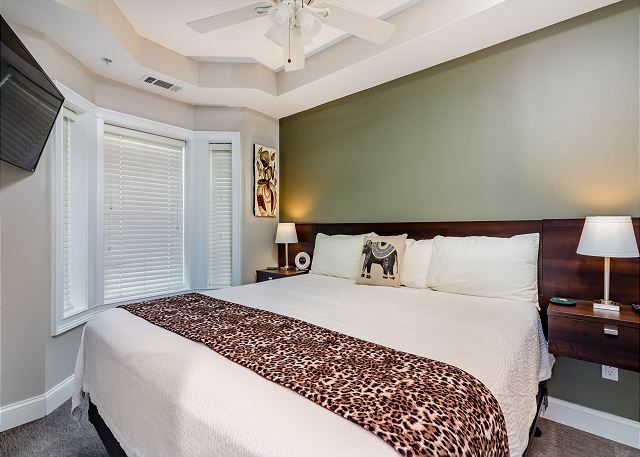 The master bedroom boasts a lion-king-sized bed with ensuite master bath, and its own private balcony. 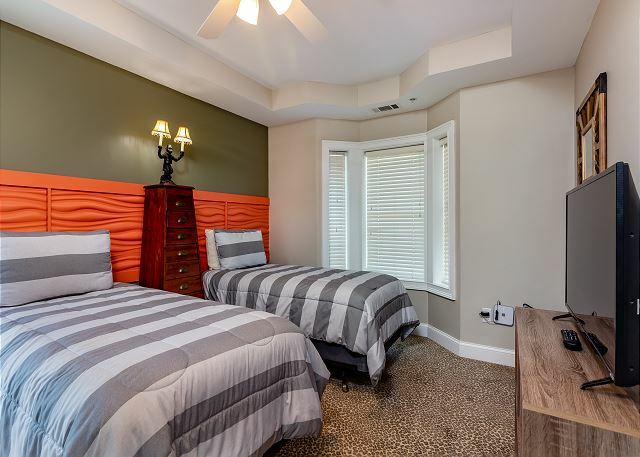 The second bedroom also has a king-sized bed, while the third bedroom's twin beds are perfect for the cubs! Though we're right outside Savannah, the whimsical kitchen will bring to mind the savannahs of the African coast, overlooking the cozy "den" before soaring over the sandy beaches and the vastness of the majestic Atlantic Ocean. We enjoyed out recent stay at Beach House 445. 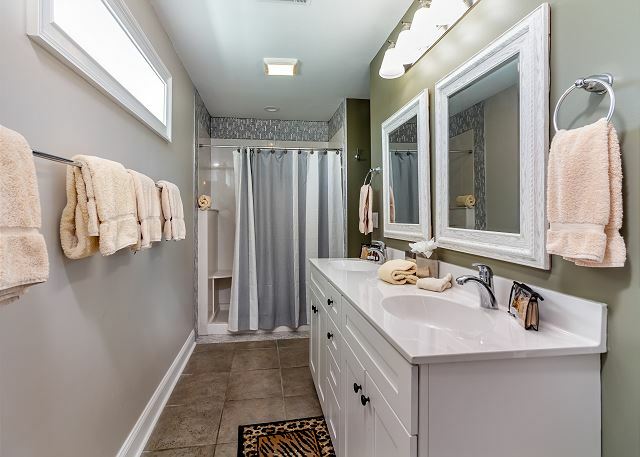 The property was beautifully appointed, clean and comfortable. The Beachside Colony staff was friendly and professional. Elaine was especially helpful with our reservation. We look forward to returning next year! We really enjoyed our stay at the Beachside Colony. The staff was very attentive to our needs, and we’ve already booked a stay for next year. We had a super time at Beachside Colony! 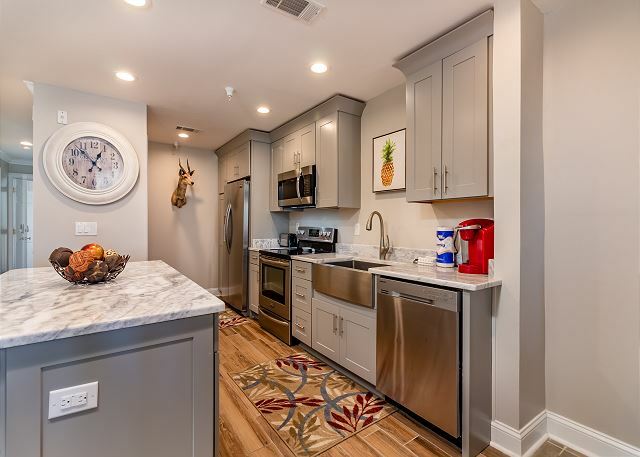 Unit 445 is beautiful and property description was accurate (need to update pictures). We didn't have wifi or cable because it was out for reasons unknown to us, but we weren't there to watch TV and were able to pull wifi from a nearby unit so it worked out. Staff unsuccessfully tried to help re wifi. The only suggestion we have is wish the owners would put safety bars in the showers.Beachside Colony Resort management staff were very nice and helpful. We enjoyed the restaurant onsite (The Deck), AJ's Dockside and North Beach Grill! Knowing to always exercise caution, we liked there are codes to use to come and go from the property as feel it provides more security.We look forward to returning! The condo was more than expected. The room had a wonderful view and the furniture was very comfortable. he air conditioning kept the whole condo cold. The check in was efficient and easy as well as check out. Weloved Beach House 445 and will stay there again if we visit Tybee Island. The renovations that were being done were beautiful. The view was stunning! A few drawbacks that would be easy fixes-we didn't have a wifi password and the staff didn't have one on file. That could be left inside the condo. We didn't know that renovations were happening when we booked. Again, a statement on the rental page would have made us aware to expect some issues (ex: handles had not been put on bathroom drawers so we couldn't open them). We had trouble getting in touch with the staff when we realized that a sink was leaking. Called several times , but nobody picked up and it wouldn't let us leave a message. It didn't affect our stay, but it was going to ruin the wood under the cabinet. Some minor issues , but this location is definitely worth booking!! The Condo we stayed in was being remodeled which we didn’t mind, the place was beautiful and I’m sure will look fabulous when they are finished! The ladies at the front desk we super friendly, the beach was clean, the Police patrolled the beach, be careful not to take BOTTLES to the beach because they will fine you we found out, but there were signs and we just forgot so it was our fault! But the beach wasn’t overly crowded which was nice! The restaurant there was great, the service was also great! It was a nice little getaway!! We enjoyed our stay very much. The condo was very nice and had everything we needed. It was great to sit on the balcony and look out at the beach. On the down side, it was a good distance to the elevator and that made it difficult when it came time to walk our dog. The only real complaint was the size of the pools. They appeared much larger in the pictures on the web site ! The staff was very friendly and we would certainly go back again. Our vacation was very good visiting both Tybee Island / Savannah Ga. The condo we stayed at is in need of some repairs - 1. Front Door is in need of a replacement, Asked for a replacement ironing board on Tuesday and the lady at the front desk said one would be replaced tomorrow (Tomorrow never came), bugs every day (they need to spray), Cleaning was on a scale of 1(Poor)- 5(Outstanding)= 1.5, Room was very outdated for the price. Beautifully decorated. Great location and ocean view. Clean, well maintained. Had everything we needed. 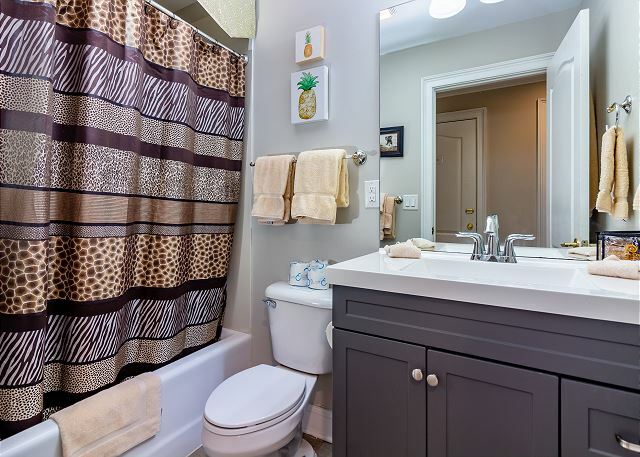 Excellent unit beautifully decorated and appointed. Will definitely return to 445. I enjoyed everything about my stay. The staff was very helpful and welcoming. I also loved the condo. Nothing but great reviews from me. Plan to stay in this same room during the same time next year. We always have a great time when we travel and we love Tybee Island!! I usually don't express negative thoughts but I must say that when all fees are factored in that our accommodations were close to $400 a night....I think coffee filters, garbage bags and dish soap should be included. In this price range it's pretty bad business to not spend a couple of "pennies" to be more professional.The condo needed a good cleaning along the base boards (very dirty) and what I call a high dusting......a lot of dust bunnies and bugs up high. It was excellent in every way. The room was great. The view was outstanding. The service was helpful. Accurate description and more than what we expected. Always a wonderful stay and best equipped kitchen! We always stay at Beachside Colony but we really were impressed with the kitchen supplies...finally enough pots and pans and openers, peelers....just great! We had perfect weather and the perfect condo. Can't wait to come back next year. The staff at Beachside Colony were friendly, polite, considerate and made my experience at Tybee Island a positive and excellent experience. The condo was a Beautiful three bedroom, two bathroom, Living room, Dining room and kitchen suite with two balconies with a clear view of the Atlantic Ocean. They helped me in a desperate situation when the hotel I had reserved cancelled my reservation and left me without a place to stay because I asked to view my room first! Restful, comfortable,lovely condo, great view, helpful staff. All as expected. Our stay at Beachside Colony was a pleasant one. We celebrated a birthday and was looking for a relaxing beachside location just steps from the sand and water. We found that. The property was well maintained and the rooms were comfortable with a great view onto the beach from our 4th floor balcony. 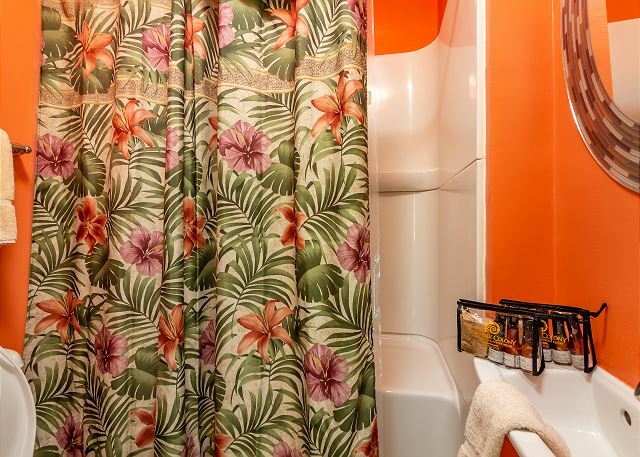 The amenities of the resort itself are roughly about 3 - 3.5 stars. The balcony furniture was size appropriate for the space (high chairs), but you'd hope to be able to recline back on a lounge chair and enjoy the view and wonderful breeze. Also, since we brought champagne for celebration, I was hoping to have glasses (if not flutes) for the drinks instead of what appeared a mixed set of plastic cups and tumblers. All in all, our experience was enjoyable for the location and we'd consider coming back. To definitively gain our repeat business, minor upgrades to raise the standard would be an added bonus. Our son married on the beach at North Beach Bar & Grill this past weekend. 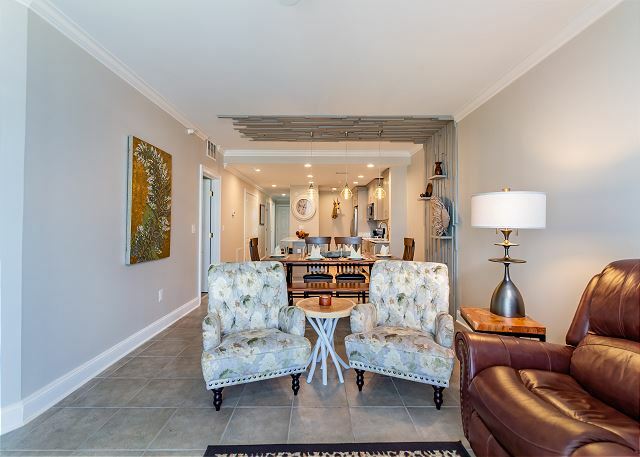 The pictures from the website do not do the condo justice! It was beautifully decorated, clean, and an awesome view to the beach. We had several friends stop in periodically & they couldn't believe how nice our place was! The only issue we ran into was the panel rod above the sliding glass door. As my son was opening the panels, it almost feel on him. The clamp holding the rod had broken & was broken. So, as you slide the panels be careful. Hopefully it will be replaced soon. Overall our experience was excellent! Will def stay in this condo in future! The location is great. The amenities are good but the restaurant was not open during our stay. The staff at the rental office was not overly helpful but check-in was efficient. We have a handicap son in a wheelchair so the elevator not working properly is a problem. A 30 minute warning that the elevator is going out-of-service for 4-6 hours is not sufficient notice. We had ample room for all 7 of us including two active little boys. This is the 6th year we have stayed at Beachside Colony, we love the resort. Our dondo this year was decorated like the Congo, it was beautiful and all of the furnishings were luxurious. We had a 3 bedroom 2 1/2 baths and there were 5 of us and a baby and a dog, we couldn't have asked for anything better. We plan on going back next year. The 3 pools and Marlin Monroe's restuarant make everything convienant. Great Stay, Very nice condo and VERY clean! We rented a 3BR condo for three days and it was beach view as described. Very close to the beach. Great Balcony view on the 4th floor. We had a great time. Note: I did give cleanliness 4 stars. The room (condo) was VERY clean. The property and area's around the outside elevator could have been cleaner. Overall, this condo was great. It is an end unit on the top floor which is great. However, the condo runs along a public access beach road. The garbage truck beeped as it backed up to empty the garbage on the beach and at the condo complex 4 days during our week stay. It was a very unpleasant wake up call very early those days. Another morning we woke up to a baby screaming. The walls must be thin. And Saturday night, we were awoken multiple times with party goers standing below our windows. Beachside Colony is the best. We have stayed on the property in different condos for the past 5 - 6 years. We know that we will receive good service and comparable fees. The grandchildren have the beach and also the pool to cool down. We will return. Overall, we had a great vacation. The internet was the only upsetting thing. This was our first trip to Tybee Island and with the experience we had we will definitely be coming back again. The rental was large enough for 3 adults and 4 children under the age of 10. Had a great time and were really able to stretch out and relax! 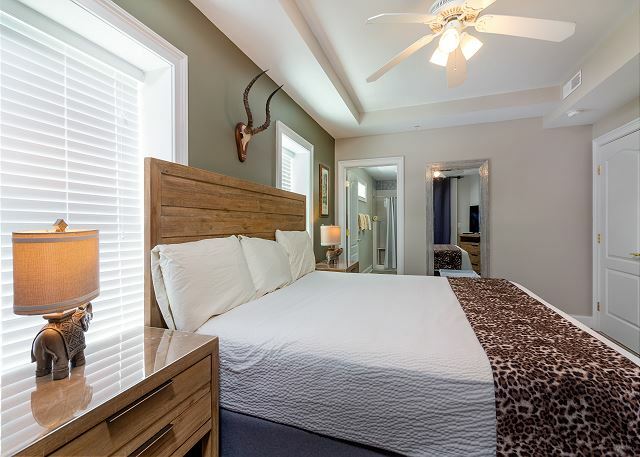 My husband and I have been coming to Tybee Island for years and have stayed in #445 Beach House for many of the trips. We always enjoy! Very nice condo! Great location! Just recently we visited and could not adjust the temperature inside to a comfortable level. If not for Kevin in mantaintenance we would have left the condo. He got it adjusted so that we could be comfortable. We Really appreciated his perserverance! Great unit right on the beach made it very easy to take a stroll and hunt for shells and watch the birds and large cargo ships. The unit was in great shape except that it had a broken sliding glass door in the master bedroom. The day prior to our arrival a storm caused the carpet to get soaked. The door was not able to be fixed so it was unusable during our stay. Too bad since there was a balcony with a nice view that we couldn't enjoy. The management company was very responsive when called and they did the best they could on a Sunday. The unit was quiet and well appointed with a fantastic ocean-front view. We loved BH 445! It is obvious that the owners care for this property and stay there quite often. The atmosphere is relaxed and the quality of the condo is extremley high. You have to be careful in Tybee, you cn pay alot and still not have a great expereince. This condo will not dissapoint. All of the extras are there.My one negative comment is that the carpet in the bedrooms could use replacing. Other than this, everything works,& it is a bright, airy, comfortable getaway!